6 February, 2019 (TORONTO, ON) – Montreal based singer-songwriter Eli Rose released her new French-language single, “Tôt Ou Tard” today. Music fans can listen to the brand new track HERE and watch the music video that premiered exclusively on Urbania HERE. “Tôt Ou Tard” is only a sneak peak of what’s to come for the Francophone artist with a full length album due out later this year. Accumulating 10 years of musical experimentation, Montreal, Quebec based artist Eli Rose has surrounded herself with renowned collaborators such as Ruffsound (Koriass, Loud, Zaho), DRMS (Ariane Moffat, Fanny Bloom), Realmind (Loud, Allie X), Banx & Ranx (Sean Paul, Ella Eyre), June Nawakii (Nicki Minaj), Billboard (Britney Spears, Shakira) and Mike Clay (Robotaki, Clay and Friends) to create an addictive urban pop music with strong American influences. 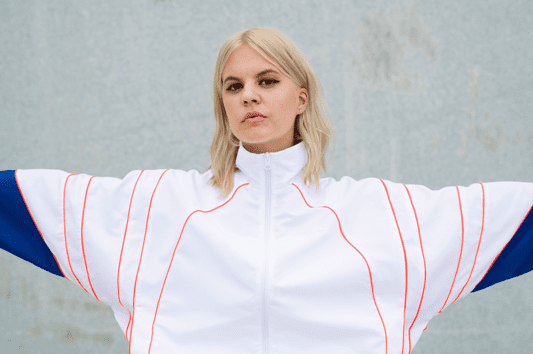 In the studio, the surprising combination of her angelical voice over urban and electronica beats produces a very contemporary sound rarely heard in francophone pop. In 2017, her independently produced single Soleil propelled her in the BDS top 10 and instantly made her a young talent to look out for. In her next LP, which will be out on Universal in 2019, Eli Rose promises to live it up and, above all, to remain as unique as ever.